Aladdin Lamps' Chrome-plated steel shade ring will not bend or warp. 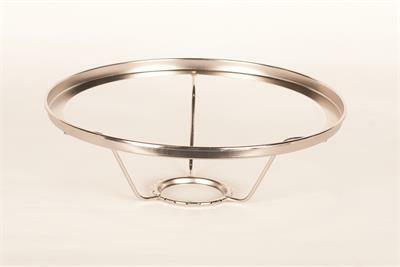 This Under-burner style shade ring support can be used with Aladdin models 7-12, A, B, C, 21, 21C, 23, 23A, and MaxBrite 500 lamps. 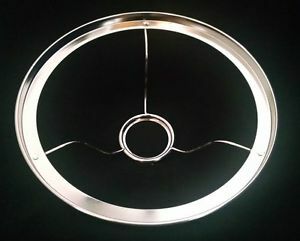 Please note that this shade ring uses the Aladdin burner threads as part of it's support and this shade ring does not work on other brands of kerosene lamps. For use will all 10" glass Aladdin Lamp shades.